New Delhi: The odd-even scheme returned to the capital after a gap of two-and-a-half months and was marked by heightened crackdown on violators though less number of private cars plied as it was a public holiday today. Why did Centre allow Mallya to leave in first place? New Delhi: Congress today took a dim view of the suspension of the diplomatic passport of beleaguered industrialist Vijay Mallya whose Kingfisher Airlines has defaulted on loans of over Rs 9,400 crores, saying why did government allow him to leave the country in the first place. New Delhi: India has been pursuing a case of death of an young Indian under mysterious circumstance in Saudi Arabia last year and is awaiting full details of the probe into the matter. Nagpur: A heatwave has gripped the Vidarbha region of Maharashtra with Wardha recording the highest temperature of 45 degrees Celsius today. 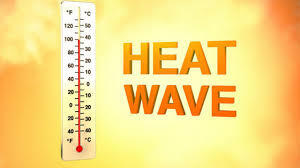 New Delhi: With heatwave like conditions prevailing across large parts of the country, over 25 weather stations of the India Meteorological Department (IMD), majority of them in Central and Souteast India have recorded temperatures over 40 degree Celsius. New Delhi: Gujarat Police chief P C Thakur was today appointed as Director General, Fire Services, Civil Defence and Home Guards here. New Delhi: The Press Council of India(PCI) and the Government were at loggerheads over the issue of the media body''s powers after it decided to serve a bailable arrest warrant against Union I and B Ministry Secretary Sunil Arora for failing to appear before it following summons. Srinagar: Curfew-like restrictions continued for the third day in parts of Kashmir following killing of four persons in action by security forces during protests since Tuesday even as mobile Internet services remained affected across the Valley. New Delhi: A country-made pistol and a threat letter against Kanhaiya Kumar, were recovered from a bus operating between an ISBT and JNU campus following which Delhi Police is mulling enhancing his security.